Today marks the launch of a new initiative in our continued effort to support the causes we believe in. 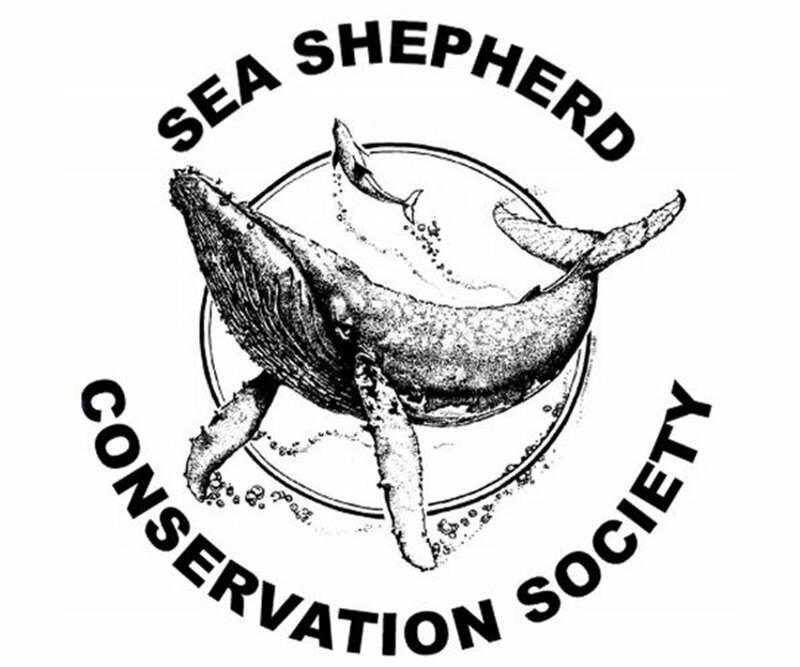 We’ve added an option to donate to the Sea Shepherd Conservation society to our checkout page when you make a purchase. These donations are a way to provide direct support to those who put their personal safety at risk on a regular basis to protect our seas. From ending seal hunting in Ireland, to sinking two ships leading to a 16-year hiatus on whaling in Iceland, Sea Shepherd is no stranger to confrontation, fighting on behalf of our oceans where others will not. Their work has led to stricter regulations for American tuna fishing, an Irish ban on drift netting, a complete disruption of the Japanese commercial whaling practice in the Antarctic, the exposing of the Ecuadorian Shark Fin Mafia, and the entire European Union banning seal products to curb illegal seal hunting. To give some context on the history and importance of the Sea Shepherds’ work, we spoke with the founder of the organization and living legend to the ocean preservation community, Captain Paul Watson. NOAH: Could you give us a brief history of Sea Shepherd Conservation Society? Captain Paul Watson: I established the Sea Shepherd Conservation Society in 1977 as an organization to uphold international conservation law. We’re an anti-poaching organization, but we don’t protest; we intervene. But we also practice what I call “aggressive nonviolence,” and we’ve never caused a single injury in those 40 years, but we do aggressively oppose these illegal exploitations—and we’ve shut many of them down. NOAH: So you’re almost acting as a law enforcer. Plenty of countries have passed conservation laws, but not all of them uphold them as well as they should—and that’s where you come in? Captain Paul Watson: Yes. What we have is a complete lack of economic and political motivation [for some countries] to uphold all the laws, treaties, and regulations to protect the oceans and life in the ocean., so that’s where we come in. We do it both ways. In international waters we act under the auspices of the United Nations World Charter for Nature, which allows for non-government organizations to intervene, and in national waters we work with partners. Presently we have partnerships with Ecuador, Gabon, Italy, Mexico, and a few other countries. What we do is provide volunteers and assets, and they provide the authority. Operation Sola Stella: In a joint effort with the Liberian Coast Guard, Sea Shepherd recently assisted the government of Liberia in arresting five vessels associated with illegal, unreported and unregulated fishing. What was the moment that caused you to make the choice to take animal conservation into your own hands? It wasn’t just one single thing; I began doing what I was doing when I was ten years old. I spent a whole summer swimming with a family of beavers in Eastern Canada, and the next summer I couldn’t find them, and I found out that trappers had taken them all during the winter. So I became quite angry, and that winter I began to walk the trap lines and freed the animals from traps and destroyed the traps. In 1969, when I was 18, I was the youngest founding member of the Greenpeace foundation. I left Greenpeace in 1977 to set up Sea Shepherd because I was tired of protesting, holding up signs, and taking pictures while watching animals die when I wanted to intervene and actually stop it. What is the biggest obstacle keeping the majority of people from realizing the importance of conserving sea life? The problem is that humans have this incredible ability to adapt to diminishment. As things get worse, they just accept it as it is. As someone who grew up in a fishing village on the east coast of Canada in through the ‘50s and ‘60s I have certainly seen that diminishment. We’ve lost 90% of the fish in our oceans, and many species have gone extinct. The Atlantic Greenwell, the Sea Mink, the Giant Hawk, the Labrador Duck, the Eastern Bison, and the Atlantic Walrus have all been driven to extinction, but most people don’t even know they even existed. One of the real tragedies is not only do we drive species extinct, but we forget they were even there. Our oceans are dying. There’s no doubt about it. As Jacques Cousteau said in the ‘90s, the oceans are dying before our eyes, and if the navies of the world had any sense of moral responsibility they would be defending the ocean rather than playing silly little war games with each other. Phytoplankton provides 80% of the oxygen that we breathe, and yet we’ve diminished phytoplankton populations by 40% since 1950. We simply can’t live on this planet without it. So unless we learn to live in harmony with those other species, in accordance to the three basic laws of ecology: diversity, interdependence, and finite resources, then we won’t have a future. Marine conservation isn’t about saving the planet—the planet will do quite well—it’s about saving humanity from humanity. Image from a 2012 Sea Shepherd ad campaign, which featured whales and dolphins armed with missiles and machine guns. What do you think about some companies trying to get involved in saving the oceans and what do you believe their roles should be? Governments are not going to protect our oceans or protect our future. It has to come from the passion of individuals—that’s what makes change. And individuals of course found companies, and companies based on principles can make a difference. We’re working with a lot of various companies: Patron, Patagonia, Lush, Dr. Bronner’s, and I’m really quite excited about the fact that people are devoting part of their profits to making this a better world, because if each and every one of us did something, that’s all it would really take. I think that those companies that give back are the companies that people will support—and they already are—because people like to know that when they buy a product, they’re buying more than just a product. They’re actually involved in some sort of activism, which can make this a better world, so we do try to encourage that as much as we possibly can. Paul Watson with a Harp Seal in 1983. In 2009, 26 years later, the European Parliament would vote to ban seal hunt product imports. A direct result of Sea Shepherd’s tireless efforts and determination. What are some actions young people can take in their everyday life and decisions with ocean conservation and protecting biodiversity? I’ve always held a view that we have to encourage people’s natural instincts and passions. What our educational system tends to do is to beat that passion out of everybody, and also try and give the impression that they’re helpless and that the problems are so overwhelming. What we try to push is that each and every one of us has the power to change the world. We have the power to make a difference. How big is the Sea Shepherd fleet today? Right now we have about 10 ships, and there are about 200 crew from 26 different countries that are presently on those ships. I think we’re actually the largest non-government navy in the world now. We have one vessel in Melbourne, Australia that’s being refitted; the Ocean Warrior is in Perth, Australia being prepared to go up to Tanzania to do some anti-poaching work; the Bob Barker is off the coast of Gabon doing anti-poaching work with the government of Gabon; Dr. Emanuel Bronner is patrolling the Baltic in order to protect seals; the Brigette Bardot is patrolling the Mediterranean; the Sam Simon is getting ready to replace the Bob Barker off Gabon; the Farley Mowat just returned from Milagro 3 in Sea of Cortez, and is being refitted in San Diego to return back to Mexico. We’re really inspired by music at Noah. Do you have any favorite bands or that you listen to while preparing to engage with some whalers or poachers? Well, the diversity on musical tastes on our ships is quite big. I’m actually a fan of Celtic and folk music, myself, but we have played Wagner’s Flight of the Valkyries when we’re going in on some of the poachers. That’s just for fun, but we have a lot of groups that are very supportive. The Red Hot Chili Peppers were doing benefits for us in 1985 when they were a small band in Hollywood. Back then I gave a t-shirt to Anthony Kiedis, and at our 30th anniversary event in LA in 2008, he actually wore it. We’re being supported by Aerosmith, Xavier Rudd, the Rolling Stones, and Boston. I would say there are about 25 different bands supporting our efforts. Do you have any advice for us as a company in what we can do to act more responsibly for ocean conservation? When companies share their success by trying to make the world better, I think they’re on the right track, and I think people will come to understand and support that. In fact it has its rewards, companies that have supported us over the years like Lush, Dr. Bronner’s, and Paul Mitchell have a loyal clientele from our supporters certainly because of that. But I think the understanding that you’re actually giving something back is a reward in itself.